Organic search has a evolved a lot over the past decade. One of the most sophisticated ways search engines have changed is in the way they evaluate pages and content. User experience metrics have become more and more important as technical HTML structure (tags and the alike) have become less and less important. This is something most content creators have familiarized themselves; however, many actually still struggle with measuring and understanding how user experience affects their overall organic search traffic. Below, I’ll show you some of the fundamental user experience metrics that are most closely correlated with improved search rankings. 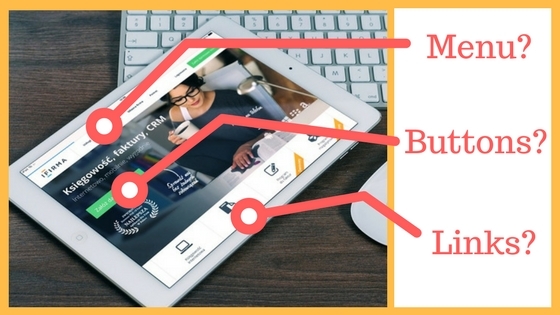 I’ll also highlight the errors that digital publishers and website owners make when trying to improve user experiences and measure their organic search marketing progress. 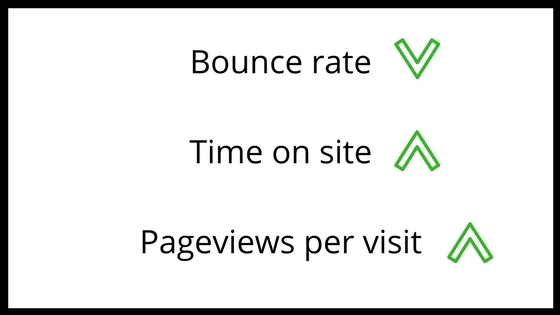 Bounce rate, time on site (session duration), and pageviews per visit are likely not new metrics for you. We talked recently about some pretty compelling data that showed how they are also correlated with increased digital revenue. They’re also displayed by default in the primary Google Analytics dashboard. Well, I’ll tell you something that you probably might know (or suspect) first, then I’ll share with you what opportunity I think most people are missing. Even if you know these metrics and look at them, do you know how to affect them, and do you know just how impactful improving them can be? I’m going to save you the history lessons and discussions surrounding why user experience is important to search engines, like Google, and just assume you understand the basics of modern SEO. If you don’t, I would recommend checking out this post on SEO auditing your own site. As you can see above (figure A), these three user experience metrics were all improved over the course of the time period above. There were likely other changes during this time set; however, it is important to recognize the correlation this site had with improved UX metrics and increased organic search traffic. See how both are positively associated. In figure B and C, we can see another site that was able to optimize ad combinations and layouts to improve their bounce rate and pageviews per visit during a 3 month time period. In figure D, we can see just how impactful this was to the number of keywords that this site ranked for organically. This also corresponded to a major uplift in organic search traffic. This is a theme that I see play out a lot. At Ezoic, we monitor thousands and thousands of digital publishing properties and one of the most common things we see impacted by improvements in those 3 core user experience metrics is organic keywords. Below are 3 different examples of sites that saw massive upticks in ranked keywords after strategically optimizing their content for those metrics. In all of these cases, all three of the core user experience metrics were improved. As you can see, the results are not exponential in nature but are always linear and progressive. In these cases, the uptick is responsible for around 15,000 keywords improvements on average. That is a pretty strong impact on organic search. There are actually few other practices that can consistently demonstrate that kind of result; especially in the world of SEO. One of the things that has made the sites above successful at achieving these increases is that they all were attempting to improve user experience, not SEO. We see the same success with publishers who take a similar approach to digital revenue as well. Digital publishers and website owners often look at user experience metrics like bounce rate after they have made other changes. Its a really common practice to measure how keyword positions are affected by changes in image position, content structure, and backlinks. But, rarely are they looking at the core user experience metrics after they make these kinds of changes. There are obviously more; however, those are some of the most common ones that digital publishers and website owners can manipulate. So, if I was to devise a step 1 to this process, it would be changing the current strategy outlined above. You have to always be thinking about how every change you make to your site affects those user experience metrics. Furthermore, you should be thinking through what changes you can make that might proactively improve those things. Once you’re looking at these user experience metrics the same way you look at keyword changes and the alike, you’re ready for step 2. Testing. Testing is by far the most complex and the most important part of improving user experience metrics. The reason why it’s difficult is because every user is different — and that means different from you and me — so making changes based on preference is a very slow process. A/B testing is traditionally too slow. Multivariate testing is a way you can effectively get going in the right direction a lot faster. But what do you test? Those are just a few things that I see successful publishers start with. Remember those graphs from earlier? Even when all of those metrics improved incrementally, we saw strong improvements in organic search traffic. There are a number of tools that can help you with testing these kinds of things but there are a few things to think about first. Everything affects everything else. You need to be able to understand how multiple tests might be affecting each other. For example, let’s say you’re testing your site with and without a social sharing widget script to see how it affects user behavior. 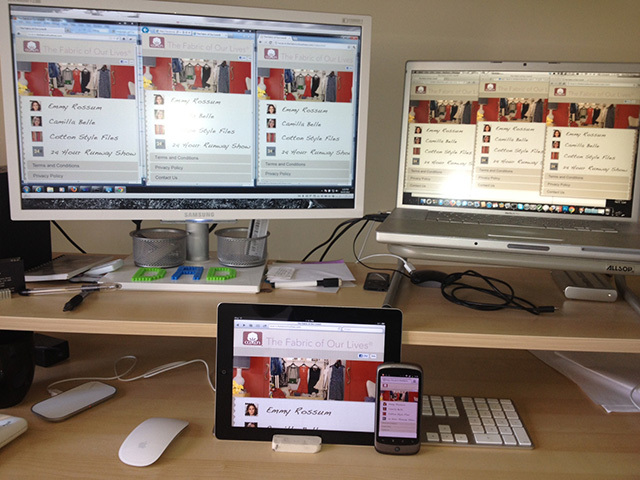 You may also be testing different menus or content headlines too. If user experience is affected positively or negatively by these changes, will you be sure that the test didn’t muddy the data? When starting out, pick a handful of things that are easy to start with like navigational elements or ad placements. These things usually have a strong impact on user experience metrics and can be easily changed. 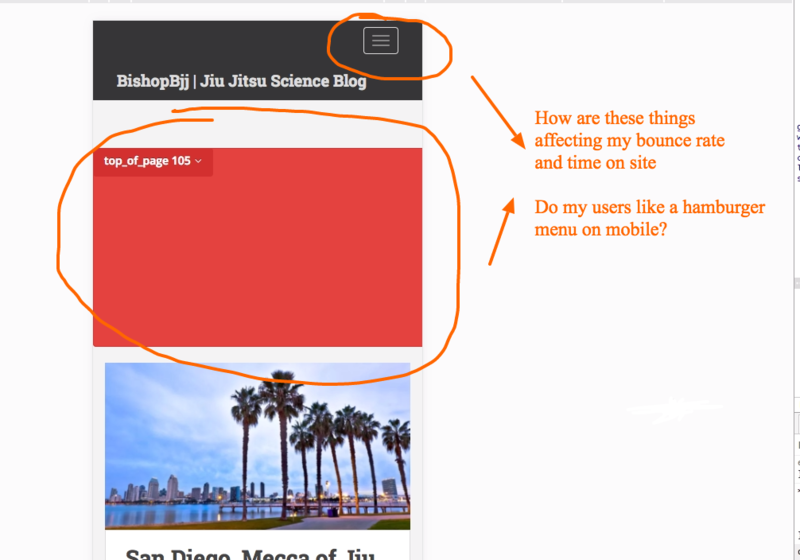 Measure to see how changes affect user experience and make changes accordingly. When you optimize for user experience, one of the best things you can attempt to do is the personalization of experiences for different visitors. This is by far one of the most effective ways of quickly improving UX. 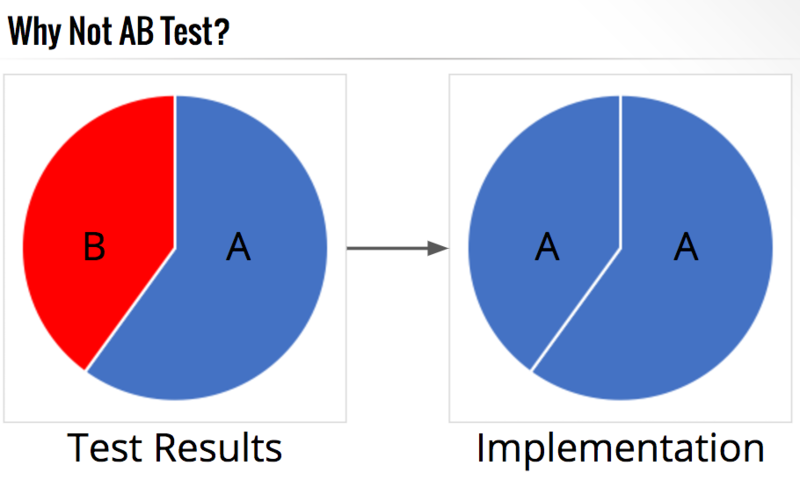 A great example of this is actually looking at a simple A/B test. Let’s say you test a hamburger menu vs a button that says menu on your mobile site. If 70% of your users had better user experience metrics with the hamburger menu, that’s the one you should implement, right? Well, what about the 30% that liked the button menu? Are you comfortable delivering them a sub-optimal experience? Personalization isn’t impossible; however, it has to start with good data. When testing, be sure you’re segmenting, measuring, and understanding how different types of users are responding to different variables. It sounds simple, but I know it’s not easy. The biggest and most important thing to remember is that you have to start with the end in mind. 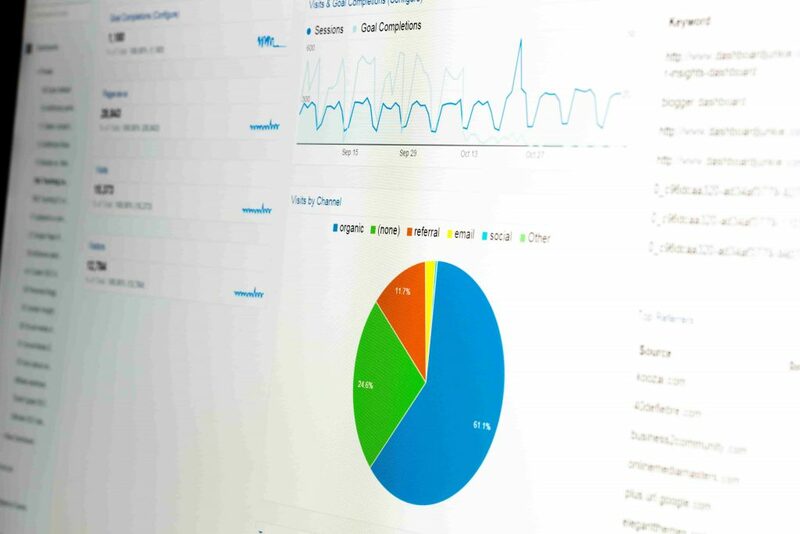 If you want to improve user experience metrics for the large search traffic benefits, you have to start looking and optimizing those metrics above some of the traditional things you might currently be looking at. I recommend testing as a starting point. There are a lot of ways to do this, and obviously, I believe Ezoic is a great place to start if you’re a digital publisher or website owner. If you have additional questions about the data above, SEO, or this strategy leave them below. I answer back with 12 hours.